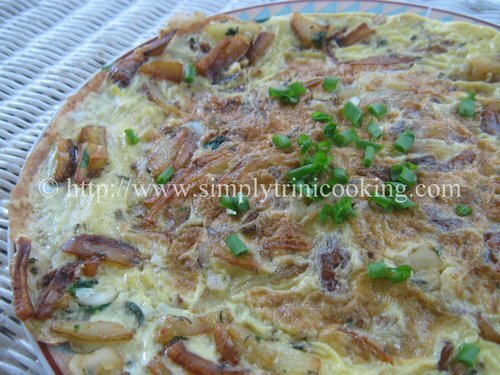 Potato omelet is perfect for breakfast. Breakfast is one of the most important meals in the day. When you wake up in the morning what has really happened is that you have broken your fast from 6 to 8 hours of sleep and the body , naturally, is rearing for nourishment. So a simple breakfast just isn’t going to “cut it”. You need to fuel up for the long day ahead. And what’s better than the good ole egg for breakfast. 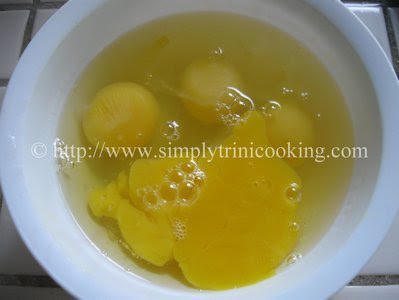 Eggs, as long as I know, has been one of the foundation foods used for breakfast. You can have it deviled, scrambled, fried, poached, Florentine, Benedict, in omelettes, in a frittata, or in a soup … Oh! The variations you can have. And what about potatoes? 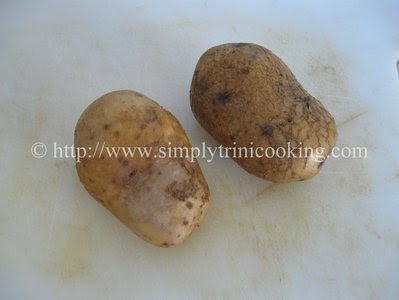 Potatoes have been on the menu as well, especially here in Trinidad and Tobago in choka, a pie, or fried, and eaten with our popular sada roti. Anyone for some with slight pepper 🙂 Yum! 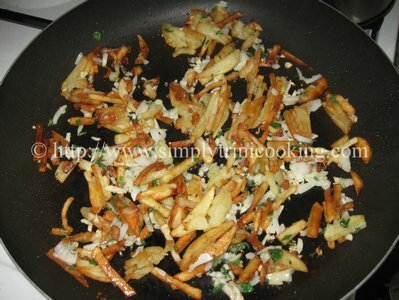 Potato is really a great companion to eggs don’t you think? That’s why, for breakfast, I’m having my eggs and potato combo in a simple potato omelet. 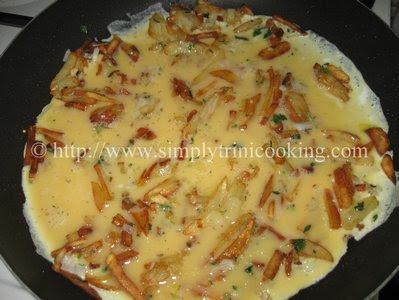 Of course not just any potato omelet, but a trini style omelet with all our favourite fresh green seasonings, like chadon beni and big leaf thyme. 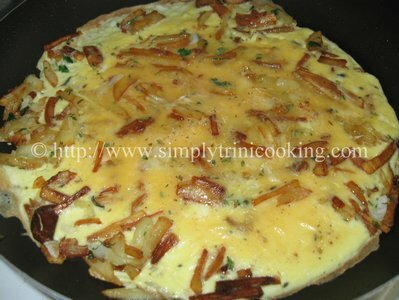 As always, in this easy breakfast recipe I will take you step by step to making this satisfying and delicious potato omelet. 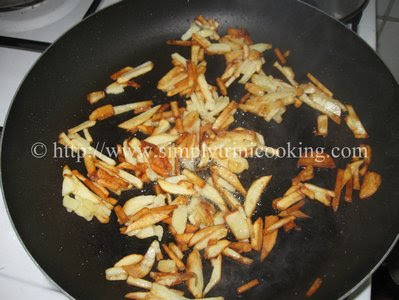 Now after making this potato omelette it had me thinking a bit… Instead of frying the potato, why not boil it? 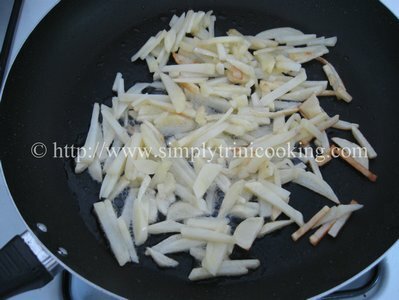 This alone will cut down on the amount of fat used for frying and the amount of fat consumed. 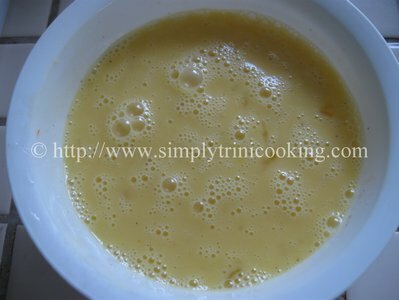 But then, the recipe would have to be called by another name since it may not look like the original. Oh well, me and my ideas… perhaps I would do it that way next time and see how it comes out. Probably it would be a wonderful potato experiment! 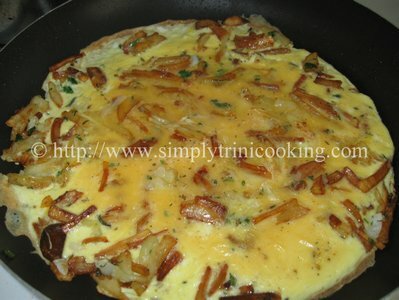 Anyhow, here’s Potato Omelet trinistyle. Enjoy! 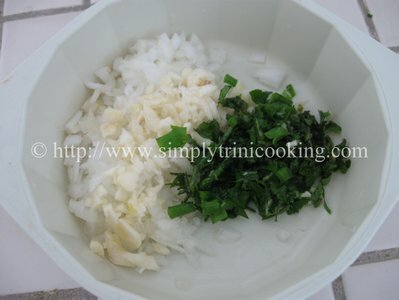 Chop the onion, garlic, big leaf thyme, chadon beni and 2 blades chive. Set aside. 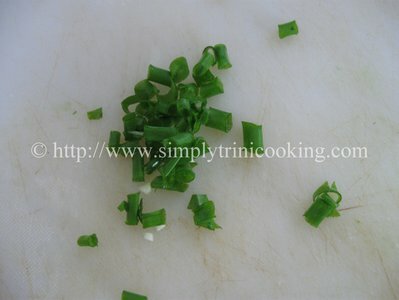 Chop the other blade of chive separately. 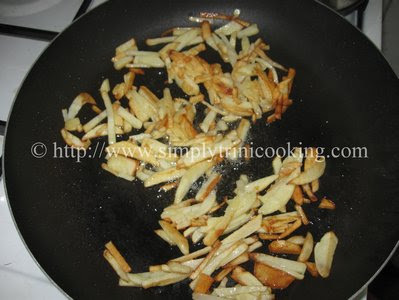 Peel and slice the potatoes thinly. Wash with water three times. 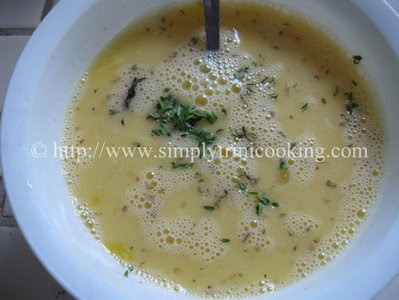 Add the water, black pepper, salt and fine leaf thyme to the eggs and beat thoroughly. 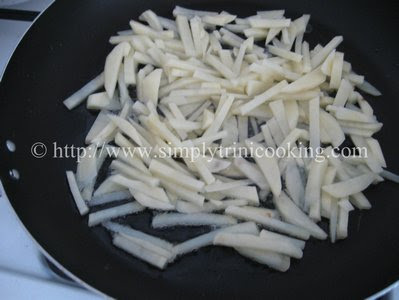 Heat the oil over medium heat and add the potatoes. Stir occasionally. 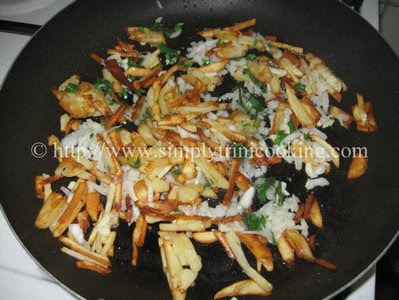 Add the chopped seasonings (onions thyme etc.) and let cook for 1 minute. 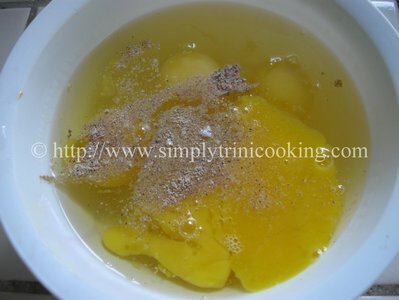 Add the beaten eggs and lower the heat. Note: The fire has to be very low. Let cook until the eggs set. 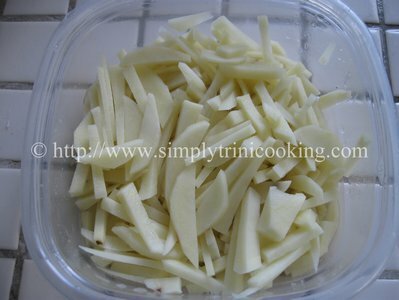 Cut into wedges and serve. Okay folks, as usual more recipes to come. Don’t forget to subscribe to the newsletter. 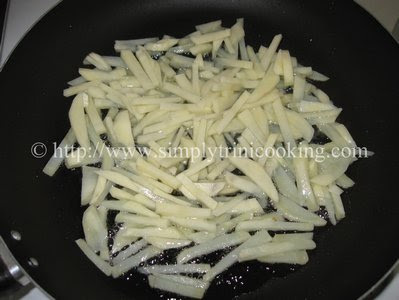 And to keep updated with my recipes and have my menu at your finger tips download my toolbar.